Behind every parent in jail, there are children and other family members who are serving time as well. More often than not, the lives of these children also reflect that of behind bars as characterized by discrimination, isolation and a sense of detachment from their peers and the people around them. As stereotypes would have it, being related to someone in conflict with the law makes them one too. And this is not true at all. We strongly believe that children should not carry the burden of being held accountable for the mistakes of their parents. Here at Project Picking Up The Pieces, we are working on interventions to help put a stop to the sick culture of branding people and singling them out for circumstances that are beyond their means to control. Our team has devised an intervention that would help in addressing the social stigma that comes along with having a loved one behind bars; as this stake negative effects in the mental health and the way of living of the dependent of the detainees. Our team envisions to promote inclusivity and help in empowering the families affected by imprisonment. We are hoping that through our little ways, we can inspire the youth affected by imprisonment to use their voice, talent and skills in helping build a more inclusive and adaptive society. Picking Up the Pieces is a breakthrough initiative spearheaded by YES alumni from Davao City. This is part of a series of changemaking projects implemented nationwide in celebration of the 15th year anniversary of the KL-YES program.  With the support given by AFS Intercultural Programs Philippines and the US Embassy in the Philippines, we were able to push through with the implementation of Project Picking Up The Pieces. 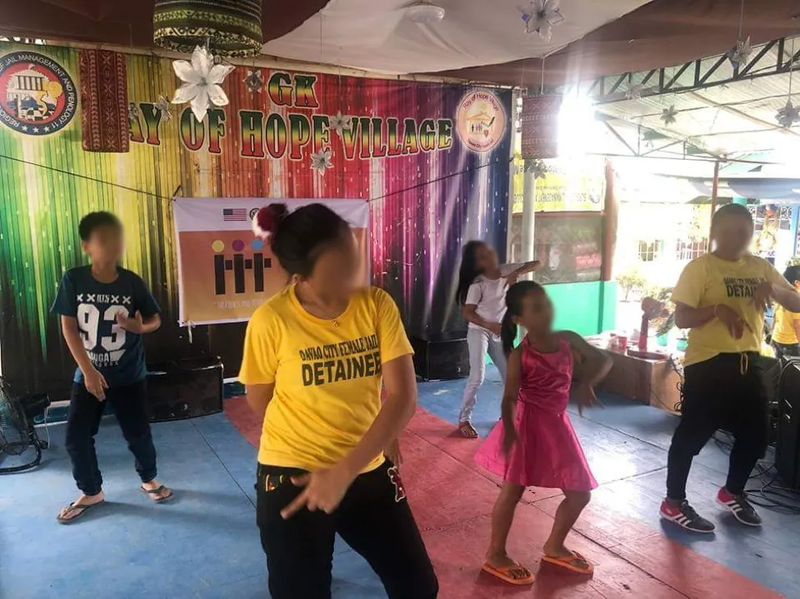 Davao City Female Jail Ray of Hope Village was very receptive and accommodating to our team as we worked with them for the implementation of our project. In fact, during our first ocular visit, our team had the biggest surprise of our lives as we were welcomed by the warm smiles and hospitality of the inmates. Truth to be told, it was nothing like what we had in mind for a jail facility. We were expecting cramped prison cells with loud and unruly detainees just like the ones we see on TV, but we were welcomed in a community of empowered women instead. And instead of regular prison cells, there were cottages instead. And everyone in the community is regarded as a family. 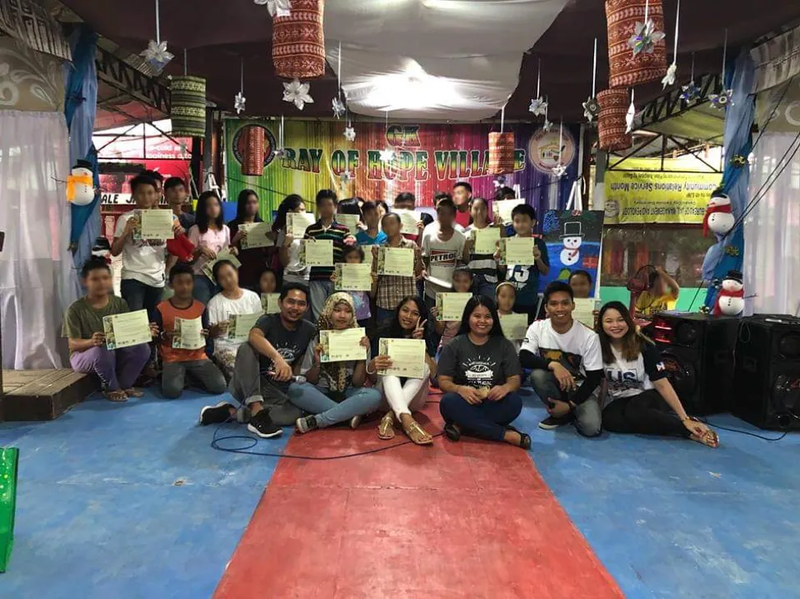 For our launching activity, we hosted an arts and leadership workshop for the children of Davao City Female Jail Ray of Hope Village inmates with the theme: “Empowering the Youth Towards Inclusivity and Expression through Arts” on December 23, 2018. We only invited a total of 50 children for the said activity because of budget constraints. But because the turnout of participants was beyond what we expected, we had to improvise a sing and dance workshop to accommodate the other participants. 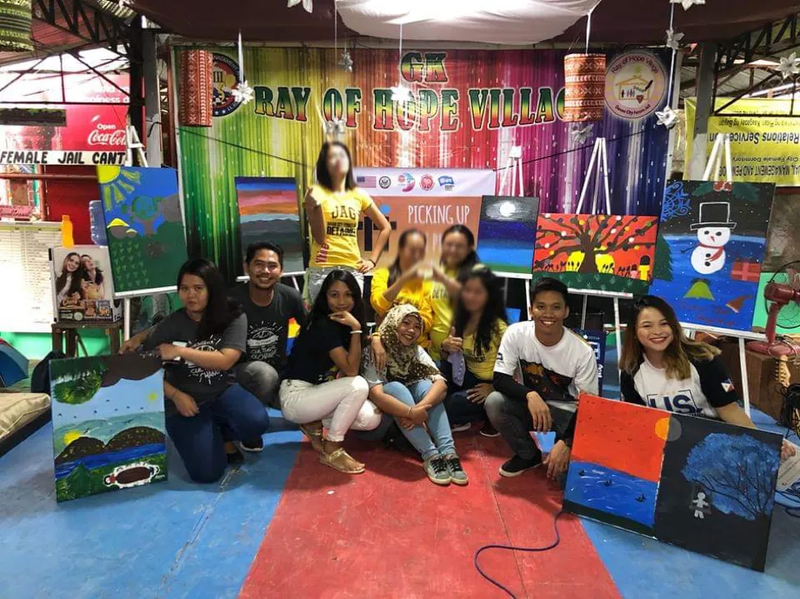 The detainees belonging to the artists guild manned the arts workshop while the Ray Of Hope Village Movers and Choir members helped us with the sing and dance workshop. 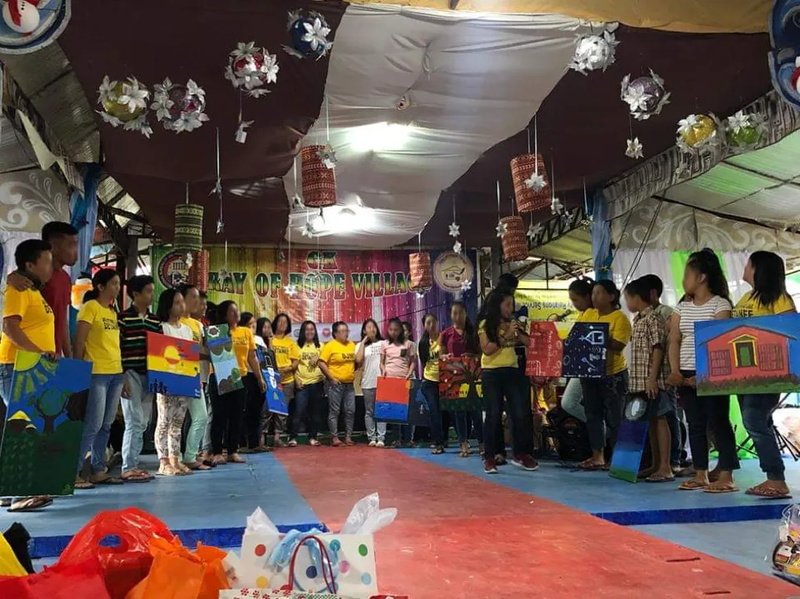 The initial plan was that only the children will participate in the activity but as it was only a few days before Christmas and the inmates surely missed their children, it has turned to become a family bonding activity which was even better. It was a picture of pure love and happiness. Our mini workshop turned out to be something more for the inmates and their children. We have seen mothers who were seeing their children for the first time after being incarcerated. We have witnessed forgiveness happen and we’ve felt the love of the mothers towards her children. While the children were busy with their artworks, some inmates started sharing stories to us. One story that really tugged at my heart was when this bubbly inmate started telling how our activity has helped strengthen her relationship with her son. She had a misunderstanding with her son and because of that, her son has stopped visiting her for more than a year now. She said that if not for our activity, she probably wouldn’t be able to see her son for a long time. Stories like this and the amazing smiles from the people whose lives we have touched are what fuels us to keep working for a more inclusive society so that children will have more room to dream and make a reality for themselves. At the end of our activity, we allowed the participants to present their works. And it was delightful to see the pride on the face of the inmates as they walked with their children up on stage while presenting their masterpieces. We were also entertained by the performances of the children that they rehearsed from the workshop. Overall, it was a successful activity. As we are gearing towards the sustainability of this project, we are currently working on fundraising activities so that we can make this a regular event. In fact, we are preparing for a Picking Up The Pieces Grand Coffee House (which will happen sometime in March) – a night full of amazing performances from esteemed volunteers and the children of the detainees- where we will auction the paintings from the workshop. All the proceeds that will be generated from the auction will be used for the towards the creation and refurbishment of a permanent child-friendly visiting room within the facility.